One of the first things I like to research when I go to a new city, state or country is whether any of my favourite movies have been filmed there. You see, I have a small addiction to set jetting – visiting film sets – so if I find myself anywhere remotely close to a movie location, I go out of my way to visit it. This was the case when I recently visited Wyoming. The state isn’t exactly renowned for its involvement in the film industry, but with it’s incredibly diverse landscape ranging from rocky mountains to vast deserts, it’s proved popular with certain directors and has appeared in its fair share of blockbusters. 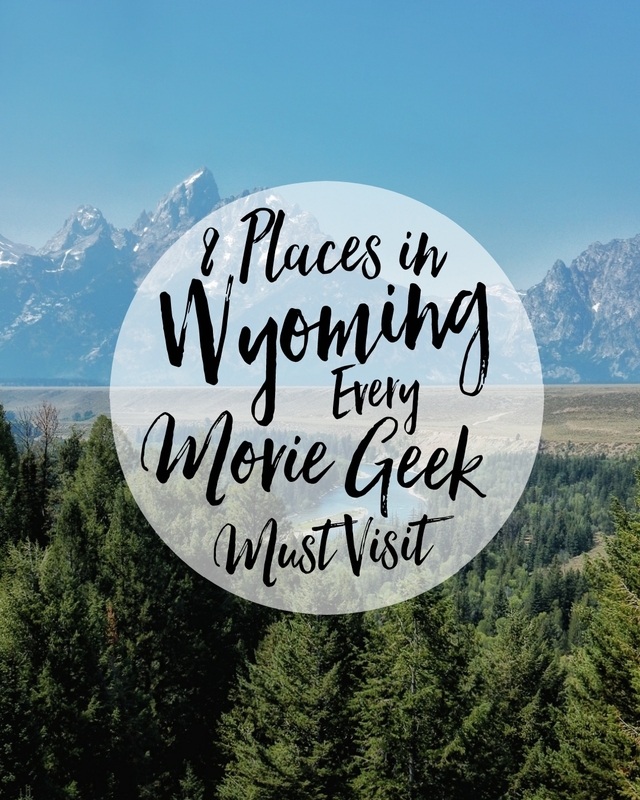 I’ve made a list of 8 movie locations you can actually visit if you ever find yourself in the Cowboy State. I managed to visit five of them on my trip – let me know if you’ve managed to visit any yourself. Devils Tower is probably one of the most iconic landmarks in Wyoming. 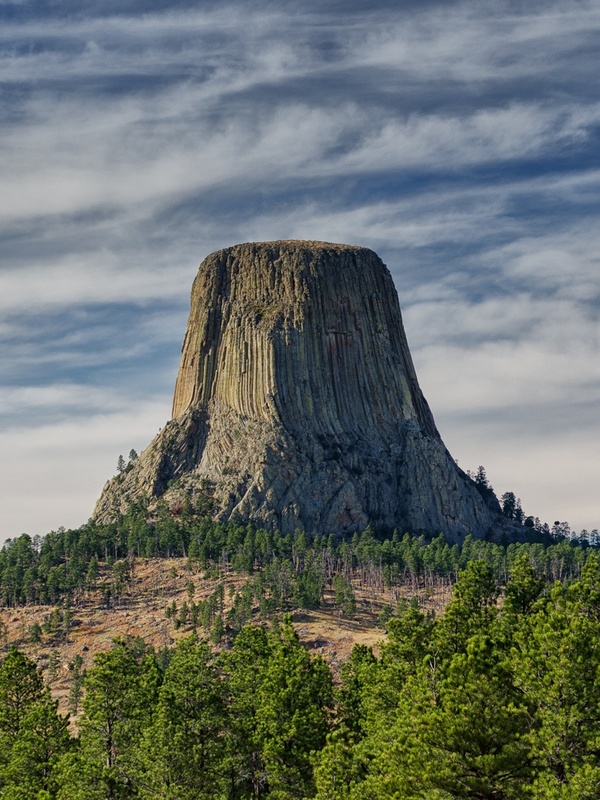 Standing at over 1,000 feet tall, it poses a rather looming figure in the Wyoming skyline, which is probably why Stephen Spielberg chose to include it in his 1977 science fiction film, Close Encounters of the Third Kind. 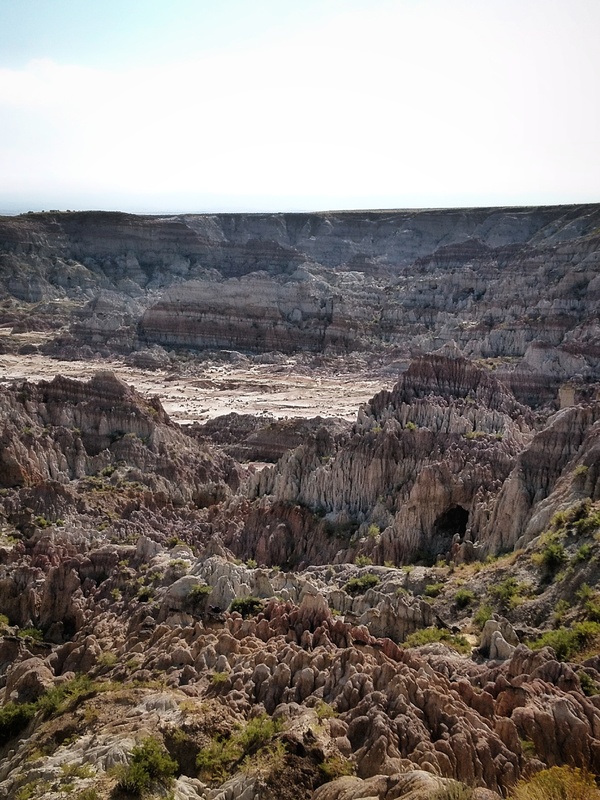 Hell’s half acre, which at 320 acres is a little larger than you may expect, is a geological oddity found in the middle of the desert. Made up of caves, jagged rock formations and deep ravines, it’s easy to see how it got its name and why it was the perfect place to film the fictional planet of Klendathu in the science fiction movie Starship Troopers. The 1997 cult classic was predominantly filmed in the Badlands of South Dakota, but when it came to the final battle on bug planet, they needed somewhere a little more otherworldly and chose to shoot among the sharp spires of Hell’s Half Acre instead. If you’re brave enough, you can actually climb down into the canyon. Yellowstone National Park is known for its vast array of hot springs that bring in thousands of tourists each year, but unknown to most, one of those geothermal features has also appeared in a major Sci Fi franchise – Star Trek. 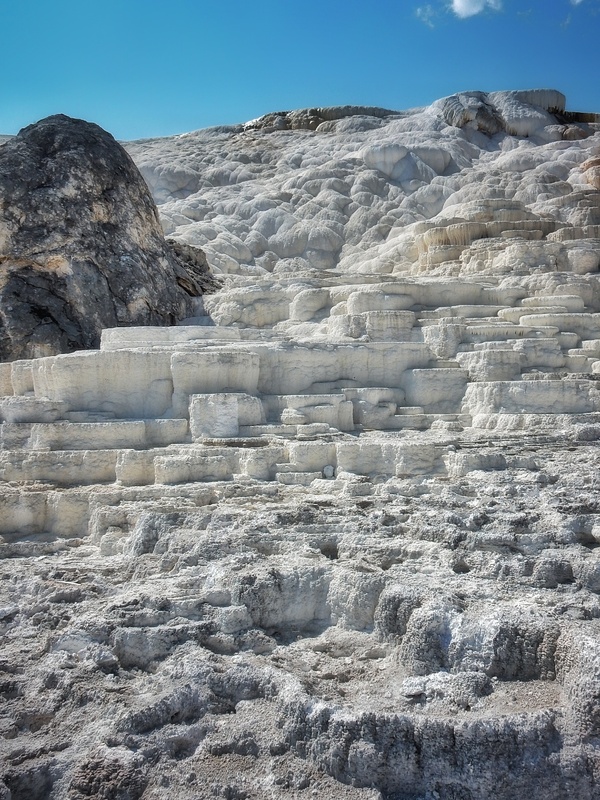 The Minerva Terrace, found within Mammoth Hot Springs, doubled as Spock’s home planet in Star Trek: The Motion Picture. With its bubbling mud cauldrons, gaseous clouds and white limestone layers, the terrace made a convincing Vulcan during the opening scene of the movie. Minerva can be seen in the background of the Vulcan Ceremony at the start of the film, and if you look close when Spock kneels, you can spot the hot springs as well. 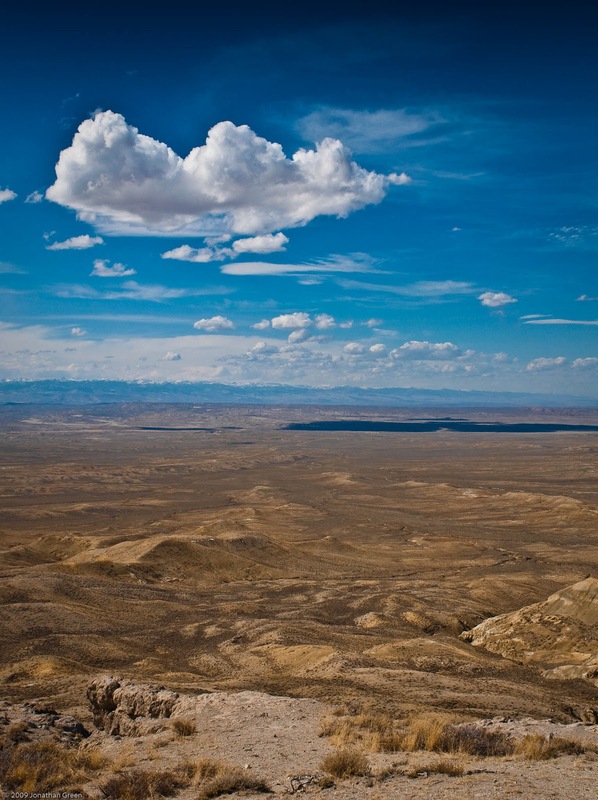 Wind River is the seventh largest reservation in the US, covering over 3,000 square miles. Apart from being the rumoured resting place of Sacagawea – the Native American woman who helped Lewis and Clarke on their exhibition – the reservation is also the subject of Taylor Sheridan’s new movie, Wind River. 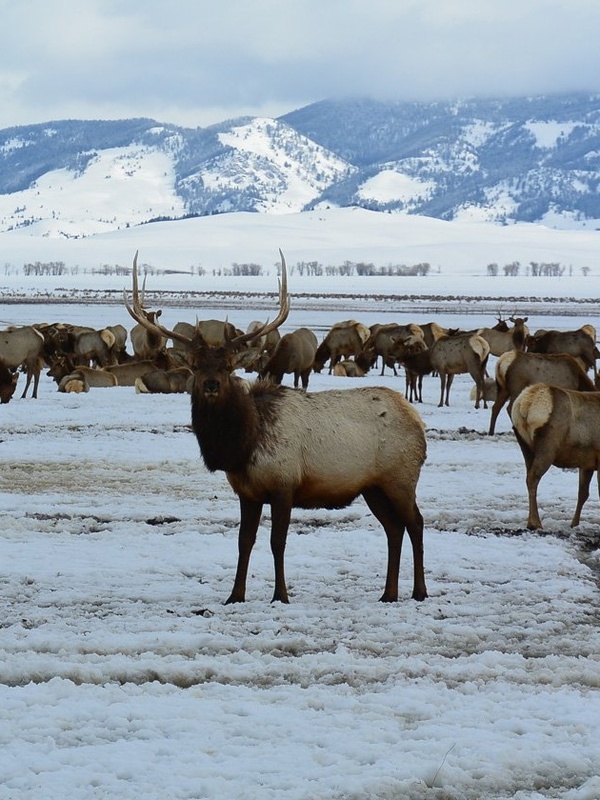 The National Elk Refuge, which lies just outside of Jackson Hole, is home to over 7,000 elk each winter. It’s also reliably covered in about a foot of snow between the months of November and February, which is why director Quentin Tarantino decided to shoot snow scene’s for his movie Django Unchained in Wyoming. 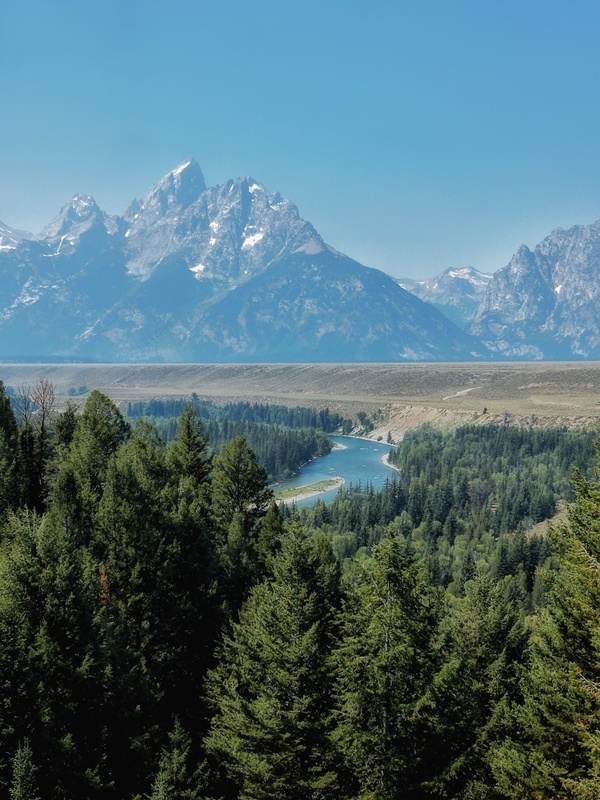 The Grand Tetons also appear in another movie – albeit in animated form. The Pixar team that created The Good Dinosaur travelled to Wyoming twice in 2013 to take photos of the state’s natural beauty, and were so fond of the landscapes that they included them in the film. Dinosaurs actually roamed Wyoming 150 million years ago, so there couldn’t have been an area more appropriate to use as the setting for a dinosaur movie. The team used USGS data, as well as all their photographs to recreate the planes of the Tetons, as well as snake river, and the Teton mountain range which can be seen overlooking Arlo’s home in the movie. 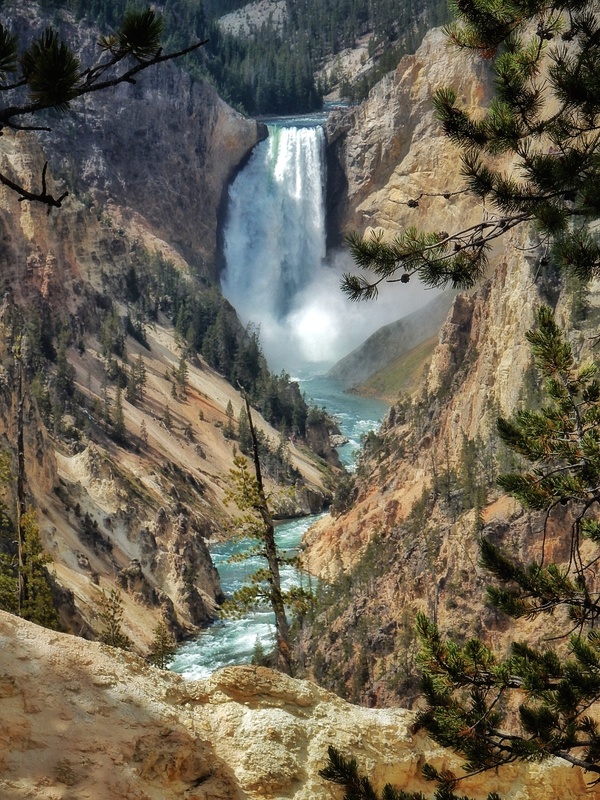 As the first national Park in the US, and arguably the world, Yellowstone is one of the main reasons so many people head to Wyoming every year. The park is known for its wildlife, geothermal features and even volcanoes, which is why it was the perfect setting for Roland Emmerich’s movie, 2012 – starring John Cusack. Whilst none of the movie was actually filmed in Yellowstone, some of the film’s most important scenes are based there. Cusack’s character Jackson take’s his children camping in Yellowstone, where they end up stumbling across a secret base before flaying away from the national park – just as the Yellowstone Caldera erupts. The Caldera is a real supervolcano that you can visit and even hike across. Don’t worry though, it hasn’t erupted for over 600,000 years. 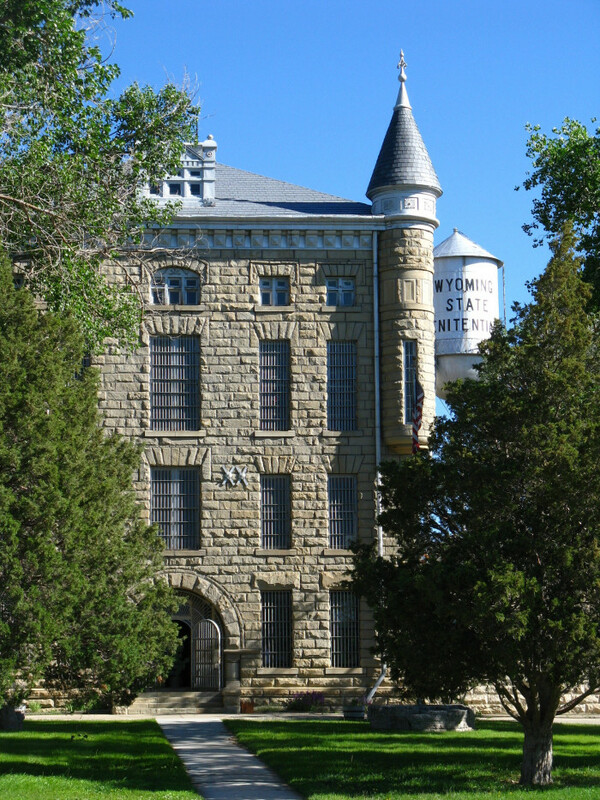 In 1901, a prison was erected in the town of Rawlins consisting of 104 cells, a dungeon, a gas chamber, and a punishment pole where inmates were handcuffed and whipped. There were 14 recorded deaths when it eventually closed after serving the state of 80 years, having housed around 13,500 people. They’re beautiful aren’t they. The one place I didn’t get to see was Devils Tower, so I’m definitely going to have to go back. Montana looks amazing! She beautiful. I really want to go to Montana, it’s definitely on my list of states to visit next! This is such a beautiful part of the U.S! I’m glad you got to experience it. It really is. I’d not really thought about going until my travel buddy asked me to go – so glad I didn’t turn him down. 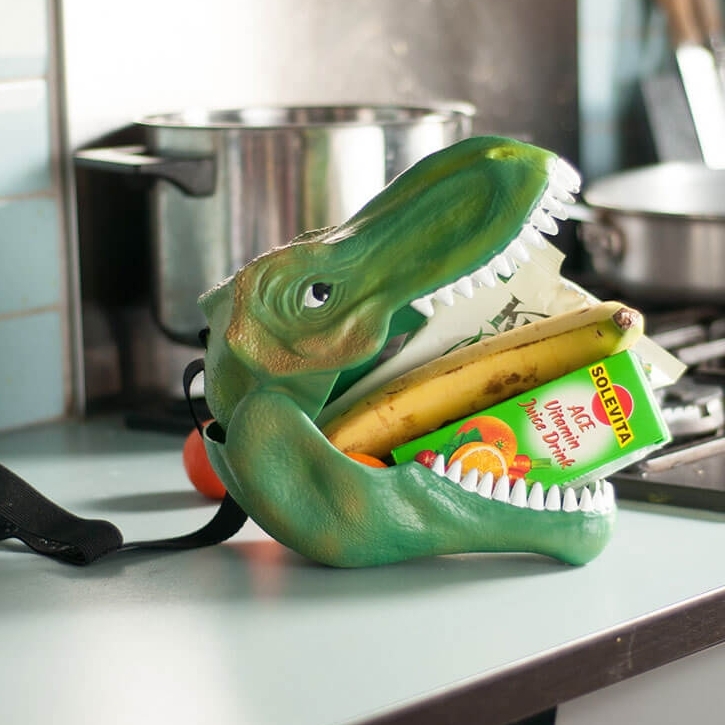 That’s an amazing idea, I’d love to see that! Beautiful falls short as a way to describe all these places!!! 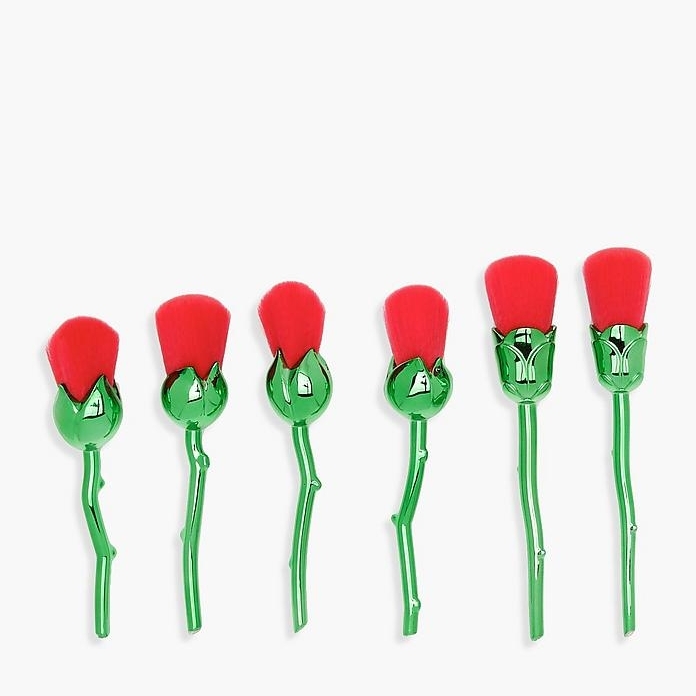 I know, they’re just stunning aren’t they. I still can’t believe I got to see some of them!